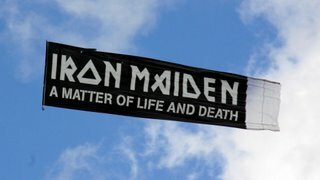 Apologies to a disappointed Iron Maiden but these banners are like the sails on yachts. 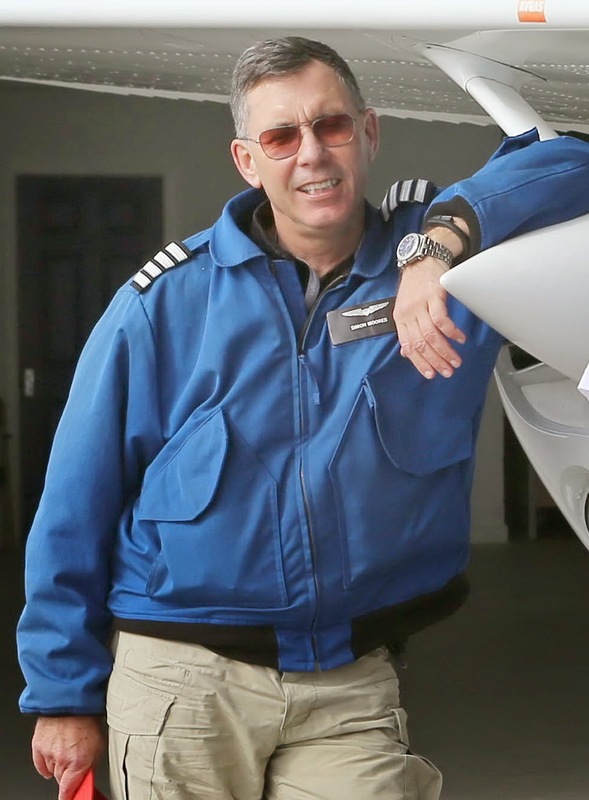 Made of hi-tech material able to take enormous forces, just occasionally and very rarely, a seam will fail and if that happens, it's best to get them backon the ground quickly to avoid the risk of an unsightly bundle of washing behind the aircraft if a tear expands in flight. Be prepared for the Lynx city tour at the end of August and beginning of September, with Airads pulling the Lynx towel along behind the aircraft. 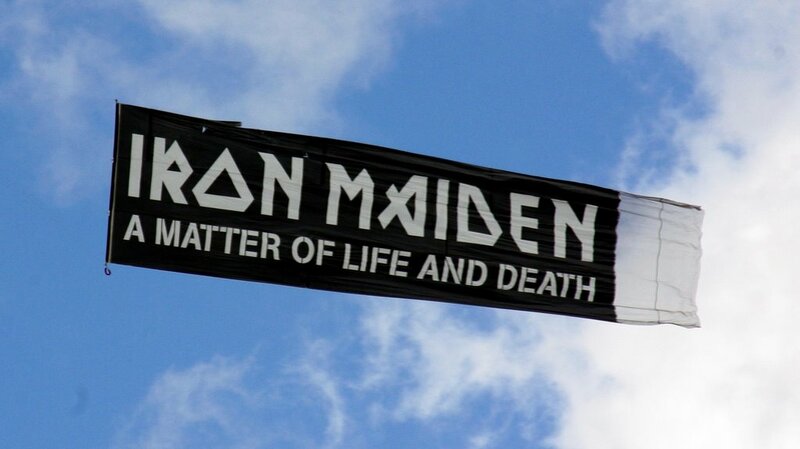 Airads will be at this month's Reading Festival displaying a special banner for the legendary rock group, Iron Maiden. 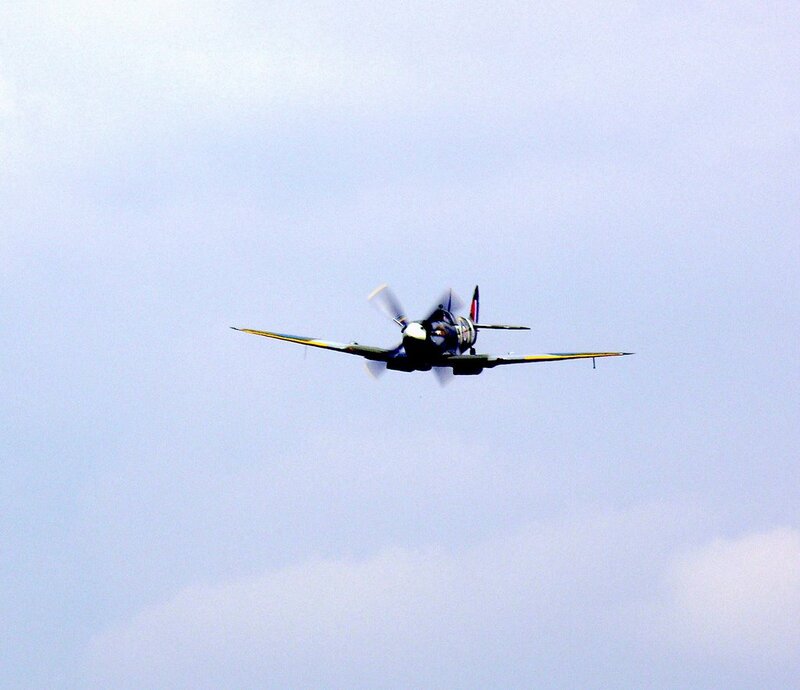 Let's hope the weather is perfect for the flyby. Today, we opened the Eastbourne Airshow with a girl to boy proposal of marriage along the seafront in front of thousands of spectators. Guess what, it worked! The weather had the better of us this last weekend. I'm not sure what happened to August but the storms left a trail of destruction, which included my garden fence and sadly, the flight over the charity shield game at Cardiff. Very disappointing but the weather between us and Wales would have chewed-up a light aircraft and dropped it into Cardigan Bay. By Sunday evening we had managed to re-schedule our local flights with partners around the country but the coming week still looks very unsettled with a second band of weather now making its way east. This is one factor, the English summer weather, that clients should always take into account. We all know it's unpredictable and if you have a banner to fly at a certain time and date, we are bound by CAA regulations to ensure that the aircraft safety and the safety of the people watching on the ground below is paramount. 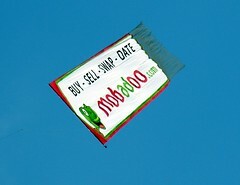 Up and coming this week, we have the Dawlish Air Festival and the start of a regular circuit of the M25, every other day for www.mobadoo.com. Leading north London estate agents, Churchill Estates, has commissioned a giant "billboard" sheet banner (artwork pictured left) for a new advertising campaign starting next weekend. 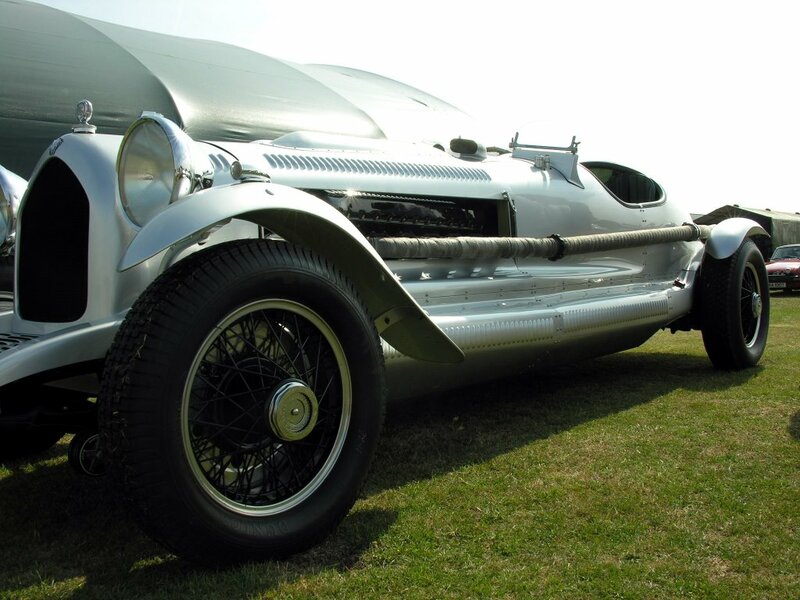 It's a "rush" production challenge but as long as Her Majesty's Revenue & Customs don't sit on the package when it arrives from the States, these big ones are produced in Florida - as they sometimes do, we hope to have it flying over the Chingford area on time. 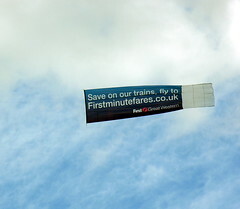 This weekend Airads will be flying the flag for a client over the FA Charity Shield at the Cardiff Millenium Stadium. Formerly known as the Charity Shield, The FA Community Shield is the traditional curtain-raiser to the domestic season between the League and FA Cup Champions. The first Charity Shield match was played in 1908 between Manchester United, reigning Football League Champions, and Queens Park Rangers, then Southern League Champions. In 1974 FA Secretary Ted Croker proposed that the Shield should be played at Wembley as a curtain-raiser to the new season between the reigning League Champions and FA Cup holders. Jose Mourinho's Chelsea are current Shield holders after beating London rivals Arsenal 2-1 in Cardiff. The FA Community Shield on 13 August 2006 will be played at the Millennium Stadium between Liverpool and Chelsea. Over Brighton today and operating from Deanland where they had a great "fly-in" with breakfast on hand. Towing a banner for Mishon Mackay along the seafront on a sultry August morning. It’s the start of August and the weather, in the south-east at least, is like March. Bad news for flights over the last two days with high winds and rain keeping us on the ground. 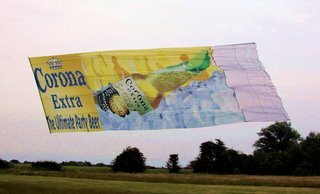 The weather is however set to improve over the coming weekend and we have the Corona Beer sheet banner to display over Brands Hatch racetrack on Sunday afternoon and two more sheet banners to fly, one in Brighton and one over the Margate Carnival, the same day. 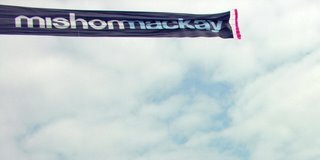 Remember that if bad weather stops us flying your message, then you are entitled to a full refund or the choice of a new display date.